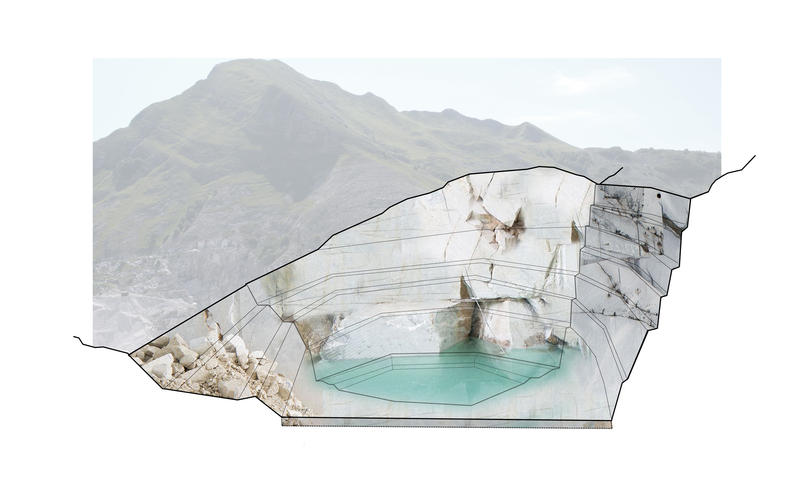 Propuesta para el concurso promovido por Rethinking Competitions con el objetivo de recuperar paisajísticamente el entorno de las canteras de Carrara y encajar el diseño de unas piscinas termales en esta antigua zona de extracción de marmol. Thermal Baths will be the epicenter of a marble experience. When we arrive, elevated walkways lead us to the pools, hidden inside the existing terraces created by the mining activity. 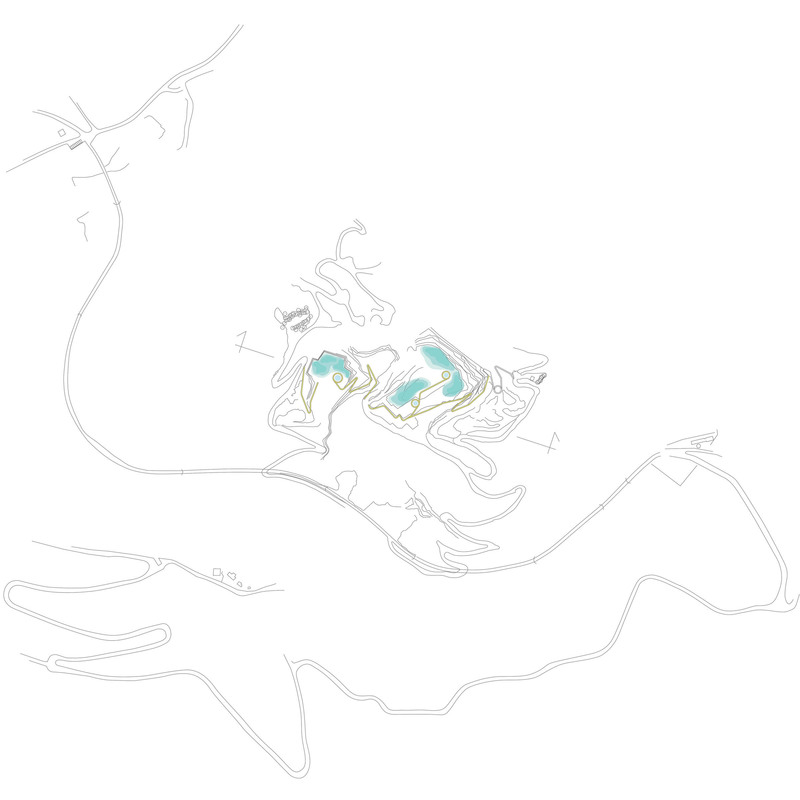 This walkways challenge the visitor to explore the quarry, finding hideouts and places to relax. 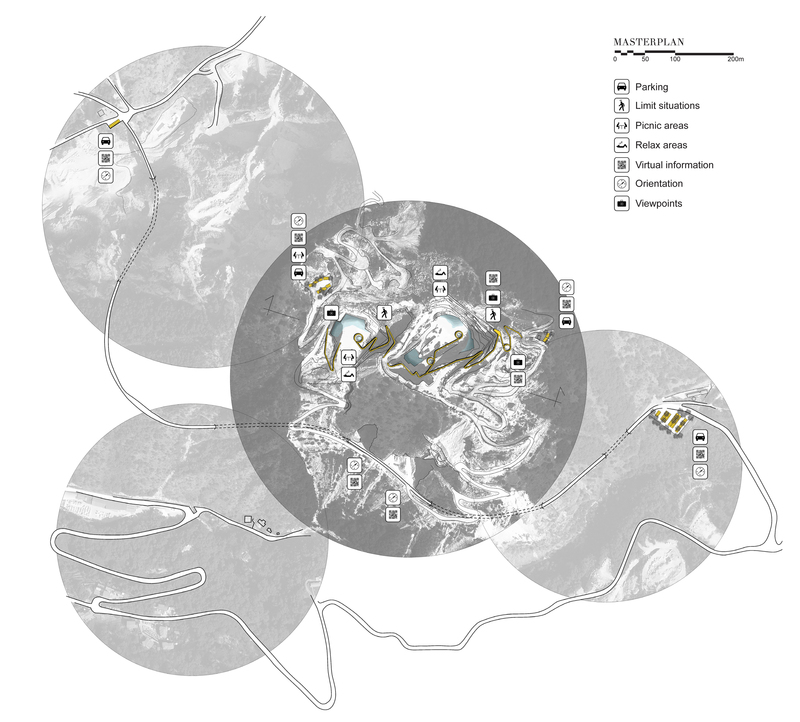 The project is simple in execution and friendly with the mineral place. 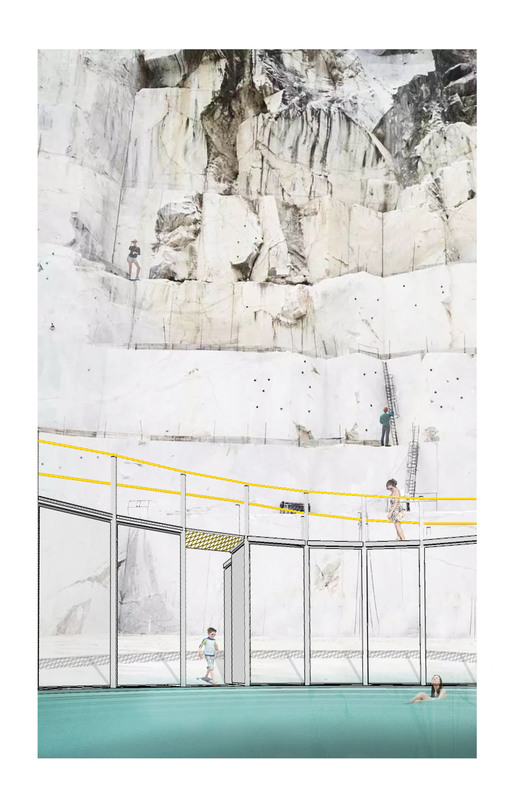 Using metal grids and polycarbonate, the marble surrounds the new explorers. 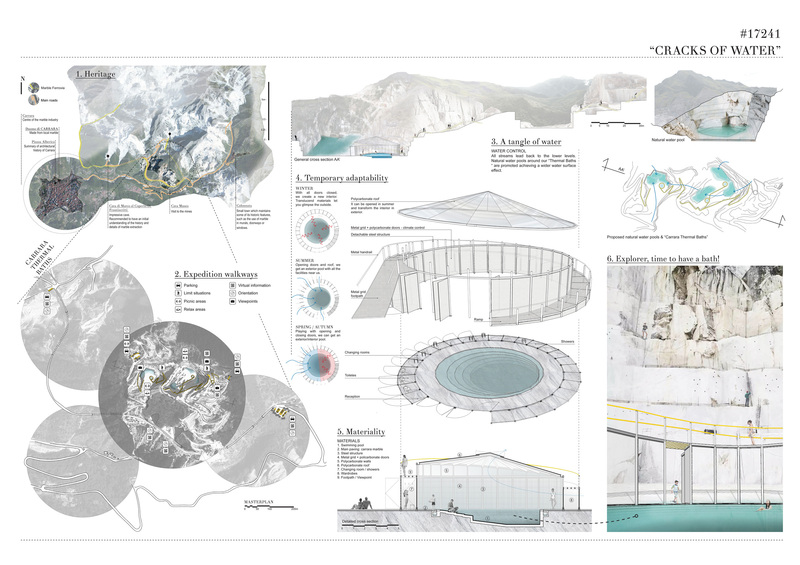 The proposal brings out the materiality, the scale and water resources. Be and adventurous and dive in our cracks of water.